It’s an awesome thing when dreams come true, isn’t it? If you had told me a few years back that I’d be able to publish a certain piece of fiction as an ebook with very minimal fuss, I’d have told you to “get out of here.” Anyone who’s lived as long as (or longer than) I have would know that getting something published is no joke. You’d have to go through certain processes and channels to even get your work considered, and that required a lot of time, money and effort. Of course, not a lot of young people could afford to expend that much, so we make do with the next best thing and publish our work on free space online such as forums and blogs. These days, however, it has become very easy for aspiring writers to publish their work and get it recognized by reputable platforms such. For rather inexperienced writers like myself, this is a really amazing development, and I have personally embarked on this journey only a week ago when I published my first ebook, Paper Planes Back Home, on Amazon and Smashwords. Honestly speaking, I am a newbie about all this, and everything’s still so overwhelming to me. Time and again I have experienced seeing my pseudonyms on forums, blogs, and content-sharing sites like Wattpad, but there is nothing quite like seeing your name displayed beside your book on Amazon, or Barnes & Noble, or the Apple Store. It’s pretty surreal. I admit I have spent a considerable amount of time just staring at my book’s pages and feeling so thrilled. I finally did it. Sure, I might not sell a lot of books, but goddamn, I finally have something up there with my name on it, and that’s just completely awesome. The lovely piece of art that started it all. In the middle of 2013, a friend (Rica) and I have begun collaborating on a series of short stories that were mostly written out of this childish desire to feel kilig over two muses that we have. It was an unlikely pairing, to say the least, but we made it work, like we always do. The beauty about writing is you can really make things happen, and you can write the stories you would like to read (because no one would write them). It’s really just a matter of making your imagination work overtime, and in very silly ways, sometimes. Soon, I was writing drafts like nobody’s business and sending them over to Rica. It became a fun secret between the two of us, and she helped me with the initial revisions before I finally decided to publish the first chapter on Tumblr in October of 2013. The Wattpad version followed suit, and by April of the following year, the entire book was finished, just in time for it to qualify for the Watty Awards. It didn’t win anything, but to finish a story was always an achievement in itself, at least to me. 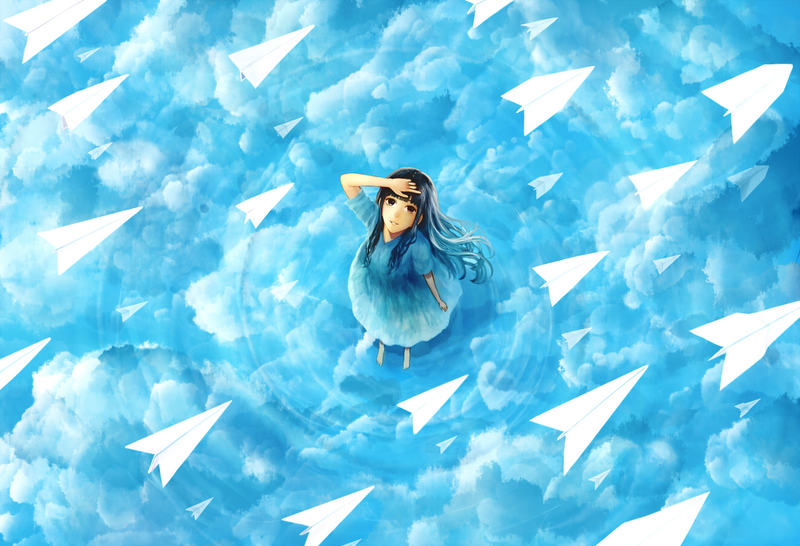 Paper Planes sat around Wattpad for a while, garnering a few very generous readers who would leave encouraging comments on chapter pages and such. After some time, I got busy with my day job and forgot all about it until December of last year when I saw an announcement on fellow Filipino writer Mina V. Esguerra‘s Wattpad. She was holding a small seminar on ebook formatting and publishing, and was inviting interested writers to attend. It instantly sparked my interest, and the next thing I knew, I was giving Paper Planes another read-through, revising it here and there to make it (maybe) just a bit better than the first edition. Fast-forward to January 31st of this year, I finally was able to take that seminar–a very laid-back and intimate one, I must say, just right up my alley–and publish my book. About three hours after I hit the publish button, I got to see my book on Amazon.com, and man I gotta tell you… that was one of the best feelings an aspiring novelist like me could ever have. So that was my dream come true. I hope you get to do the same for one of yours this year as well. Paper Planes Back Home is available for pre-order on Amazon, Smashwords, Barnes & Noble, Kobo, and the Apple iBooks store. Again, congratulations, Tara! An achievement already, this one .. and more will follow, I know. Keep writing.. and enjoy the exciting journey of dreams coming true.. a storybook at a time. Cheers!